Question: Is this normal? : ¿Cómo?... What? So I have this reoccurring dream... The location and situation changes all the time, but the concept is always the same. I am talking to another person. I desperately need some important information, but when the person responds, they are speaking in Spanish. The problem is...... I don't understand a word they are saying! 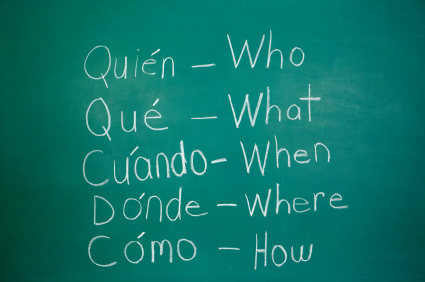 I studied Spanish in college and even traveled to live abroad in Spain. I obviously know Spanish! When I dream, I am making up the conversation with my own knowledge. Why would I create a conversation with my own mind but also make it so that I don't understand a word that is being said?! ?